The ST (Suspension Type) classification system was born out of a simple need; namely the need for a numbering system for suspension insulators. We assign numbers starting first on smallest to largest diameter, then least to most number of petticoats, then length of outer skirts and inner petticoats. In other words, tiny insulators first, big fog types last. 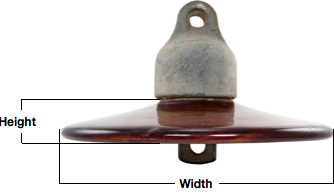 We have identified the major types of suspension insulator design, and assigned them 1000 number blocks. Glass suspension insulators of all types have been given their own 1000 number block, which aids in quick identification. Right now we only have a couple dozen styles with assigned numbers, but they are among the most common, or historically important suspension insulators you will encounter, which allows immediate use of the system in sales and communication. Our goals were rapid implementation, easy and free access, and allowing the system to be widely used by any interested party. Once the number ranges were drawn up, and subdivided down in a logical fashion, it has become easy to assign new numbers as collectors report their insulators. Elton Gish has been a great help by providing some important early catalog pages which allows us to assign numbers to nearly every, if not all classic suspension insulator made in the US without having examined actual specimens. A number of key styles were assigned numbers early one, which allows future numbers to be quickly assigned based on defined characteristics. We encourage you to take a look at this website for information on submitting photos. FIRST identify it's connection type. If it has no metal caps, look in the ST 1000 range. These are the Hewlett and other styles that used linked cables or metal straps to assemble strings. If it is made of cemented shells, then look in the ST 2000 range. If it is porcelain and has a straight cap, riveted strap cap, or other unusual cap fittings, then it's likely in the ST 3000 range. This range has early classic styles, and several unusual types that don't justify their own range. Typically these insulators will be made prior to 1920. If it is porcelain and has a more modern compression style cap, then looking the ST 4000 range. If it is porcelain and has multiple ribs or sheds on the outside, regardless of cap type, look in the ST 5000 range. Jeffery DeWitt "spider" discs, and wood or composite core strings of all materials (such as Cochrane Bells) are found in the ST 6000 range. Modern "Long Rod" suspension insulators made of solid porcelain rods are in the ST 9000 range. 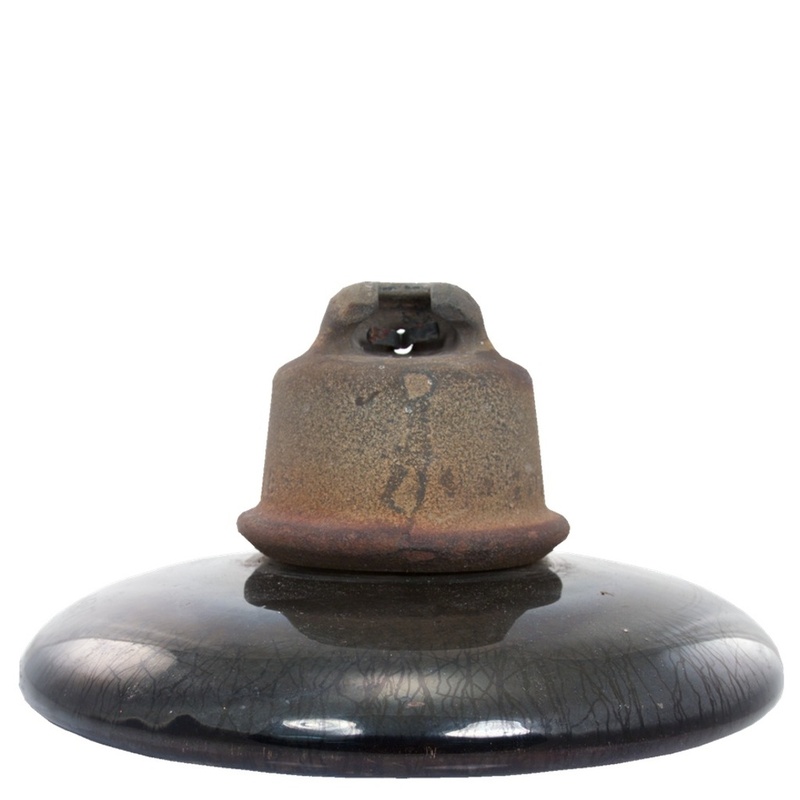 All glass suspension insulators other than Cochrane bells (ST 6250) are found in the ST 7000 range for quick and easy reference and are ordered by size. What is the difference between "classic straight caps" and "modern compression caps"? 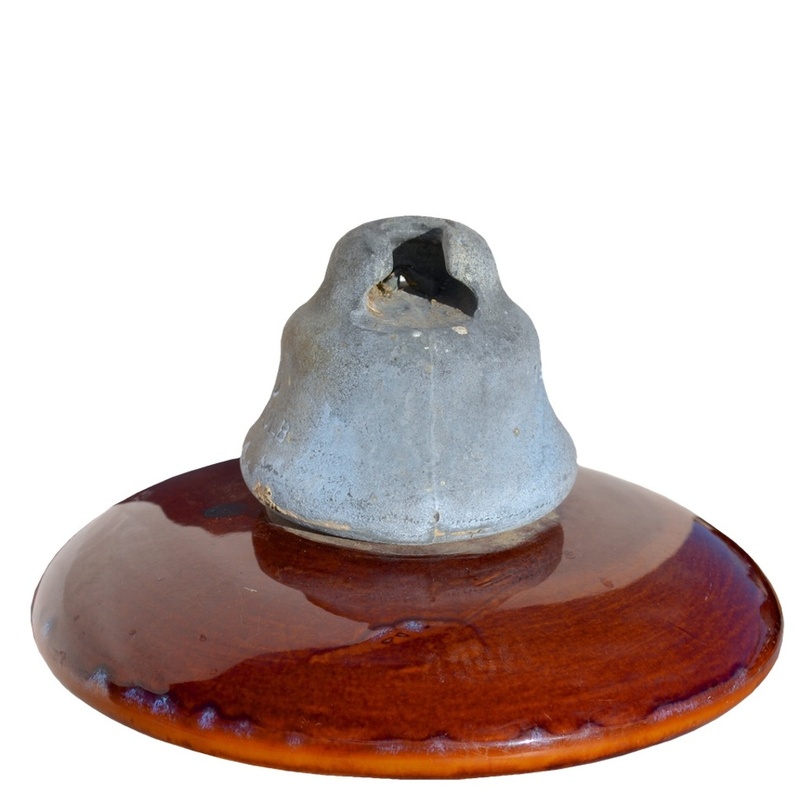 Early suspension insulators featured a cap and pin system that did not load the porcelain in compression and were prone to failure from heavy loads, cement expansion, or porcelain failure. This changed when A.O. Austin in a series of patents in the late 1910's developed the modern suspension insulator that loaded the porcelain in compression. These modern caps are readily identifiable by their wider, flared shape, and the occasional use of flanges to relieve the effects of flashover. The ST 4000 range includes discs that are transitional from straight tension caps to modern compression caps. As a general rule, all Ohio Brass units from about 1917 forward will fall in the ST 4000 range, and all metallic cap and pin units from other companies from about 1930 onward. Why are cap sizes not reflected in the ST numbering system? Many suspension insulators use nearly identical insulating shells, but the caps vary in size and shape based on manufacturer choice, and the load bearing capacity of the given insulator. We believe to classify each of these minor variations defeats the purpose of a handy numbering system, and that an interested collector can simply note the type of cap they have on a given insulator. Why are small variations not noted in the system? Minor manufacturing changes and variations inherent in mass production, generally do not justify being noted, unless they are significant enough to be noted by the manufacturer, or considerable enough to stand out. Why doesn’t connection type spawn a new number? 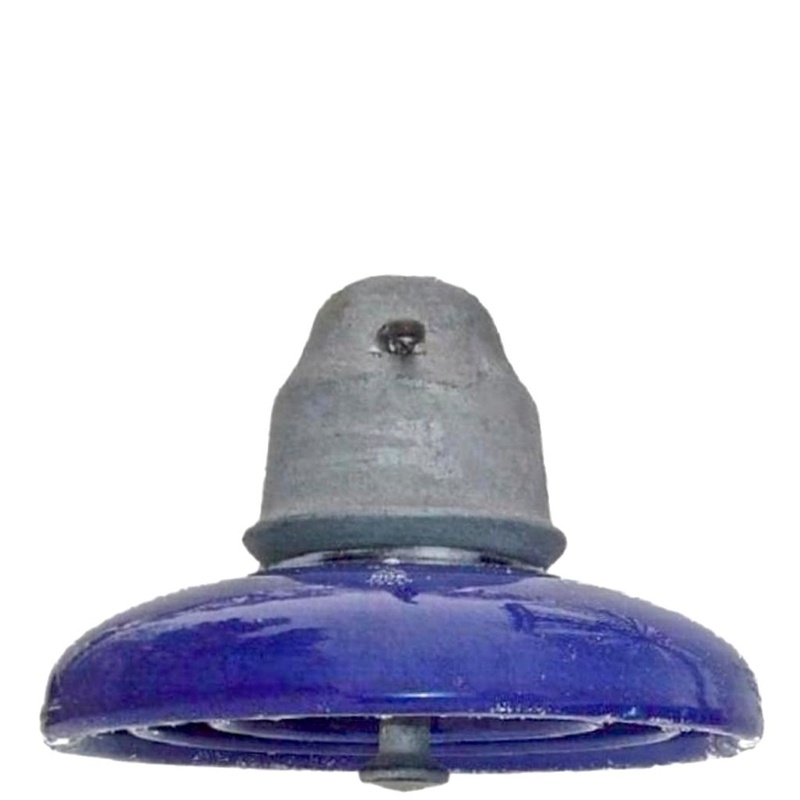 Suspension insulators often use a standard insulating shell, and can be fitted with a myriad of connection types based on the needs and preferences of an end user. 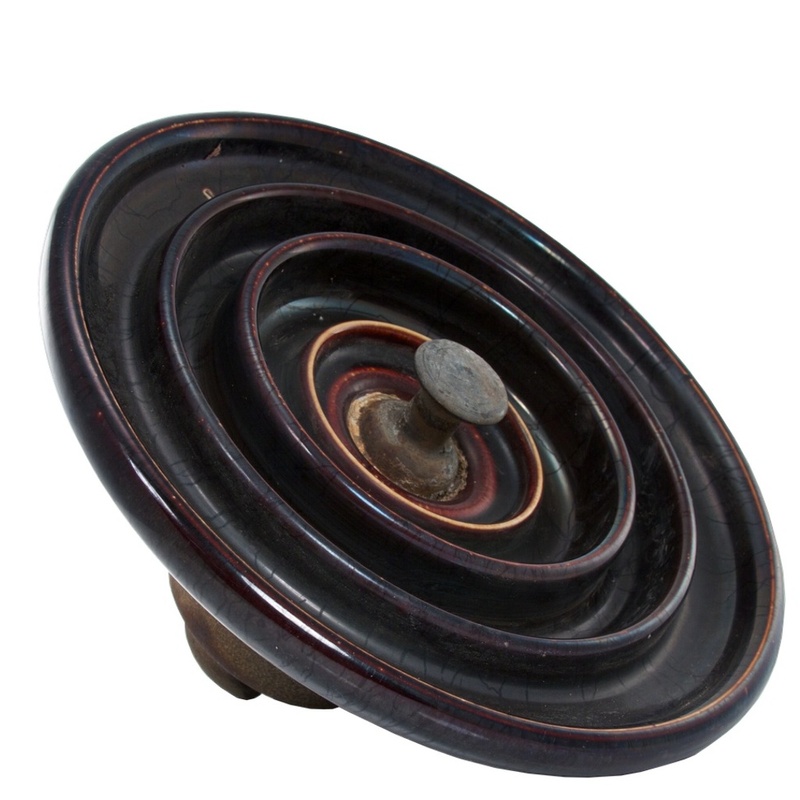 These can be simply noted by the collector when describing the insulator. Often an otherwise identical insulator can have four or more different connection types. Giving each on a number would quickly become cumbersome. Why is the system freely available? Because we decided it would be in the best interests of the hobby, and foster a spirit of openness among collectors to simply permit anyone to use the system for commercial or non commercial work with no further licensing or permission. It is our hopes that this openness will encourage people to create further works utilizing the system, which enhances the hobby as a whole. Why is there a mix of drawings and photos? Ideally we would have a straight on photo of the insulator and one at a 45º angel of the bottom. When a photo is not available we will use a catalog drawing to illustrate the profile and underside of this insulator until we get a good photo. Why are the colors recorded so generic? Colors are listed as there basic colors because this is meant to be a simple system. More details color recording is left up to the specialty collector. Why is the location of the markings not noted? Much like porcelain pin types insulators, the location of the marking on porcelain discs can vary widely. To keep things simple we will note the markings but not the location. I see my insulator listed but mine is a different color or manufacture, shall I still submit photos? Absolutely! Just because a style has a ST Number already doesn't mean we know about other manufactures and colors. Have some discs to get listed? Read all the info on this page to get a feel for the system and for how properly submit a insulator. We are looking for not only new styles but new colors and markings. IMPORTANT PLESE READ! : Before submitting your Suspension Type insulators, Please read the "Photographing Suspension Type Insulators" Located in the above tab. Your Name: As you want it on the photo credit, if you want to be Anonymous put Anonymous you can also put tour name and Anonymous so we can have it on file but we will not publish it. Email: This is your email address. We WILL NOT share this with anyone. It is for if we have questions about the submission only. Insulator Height: Put down the height from the bottom of the cap to the bottom of the insulator. Cap Markings: Same format as above if applicable. Side Photo: This is for the straight on shot of insulator. Insulator Markings Photo 1: Photo of markings on the the insulator. Insulator Markings Photo 2: Additional photo of markings on the the insulator. Insulator Cap Photo 1: Photo of cap markings on the the insulator. Insulator Cap Photo 2: Additional photo of cap markings on the the insulator. Notes: Any oddities about the insulator or note worthy items. The following tips will help you get consistent photos that will be usable for the ST system. 1. When possible shoot on a white background. This will help reduce the time it takes to get the photos ready. It also helps with reducing color reflections from surrounding objects. 2. Face the disc with the cap opening out (for ball and socket type discs). If the disc will not sit the way you want it, place a small object under the back of the disc directly behind the pin (so it will not be seen in the photo). 3. This is the most important step! For the side profile, be sure to shoot straight on with the camera centered on the porcelain/glass part of the insulator. If it sits on the inner post then let the insulator rest on the pin an tilted up towards the camera or place a block behind it as mentioned in above step. If you can see the underside of the insulator is the side photo camera is too low. If you see distortion in the shape of the insulator or cap looks skewed then you are to high ( See example below for correct and incorrect). Note how photo is straight on the insulator and gives the true profile. You can tell when you are properly aligned by when you can't see any of the underside of the insulator or the top of the cap. This photo was taken too high up giving distortion, making the insulator look thicker then it really is. Bottom photos should be at about a 45º angle with the insulator resting on its cap. Point the left side of the insulator facing the camera. This photo was taken too low. Side photos should not show the underside of the insulator. 3A. To photograph the bottom side of the insulator place at a 45º angle. With the left side of the insulator closest to the camera. Let it rest on the cap. See above photo for example of how to correctly position the insulator. Height of the insulator is just the exposed glass or porcelain part of the insulator. Typically from under the cap to the bottom of the petticoat (or longest petticoat if on multi skirt discs). It can take a bit of work to get an a correct measurement as the connector on the bottom will be in the way. Please take the time to double check the measurement as even a 6mm (.25”) difference can spawn a new ST number.